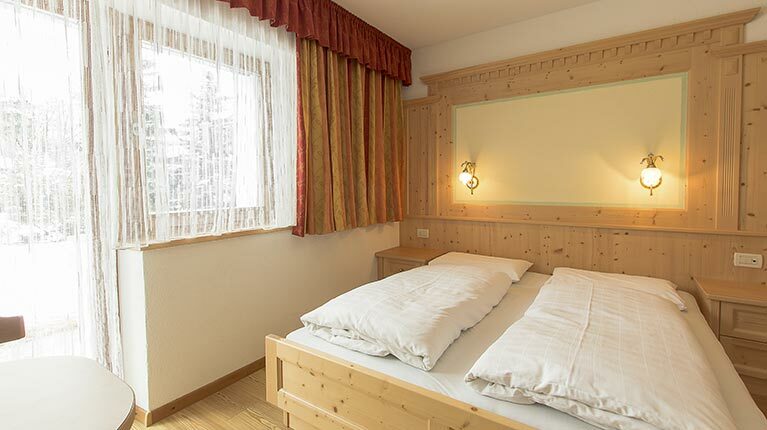 Bedrooms and apartments in Alta Badia for a comfortable vacation in the sign of relax. 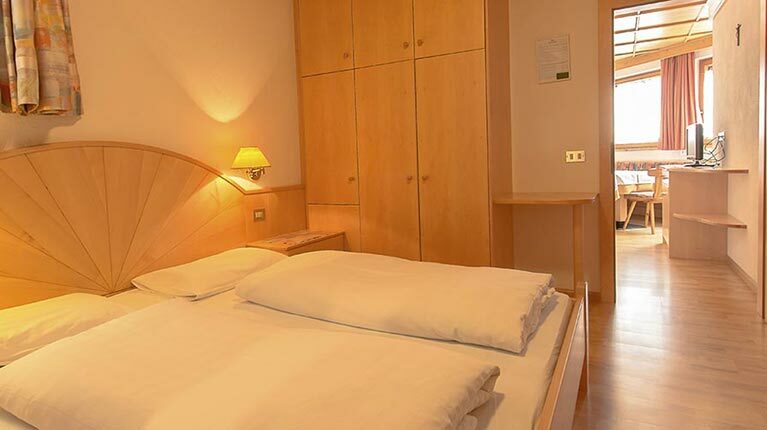 Our B&B La Palsa disposes of 11 bedrooms, which we offer along with breakfast, and of 6 apartments. 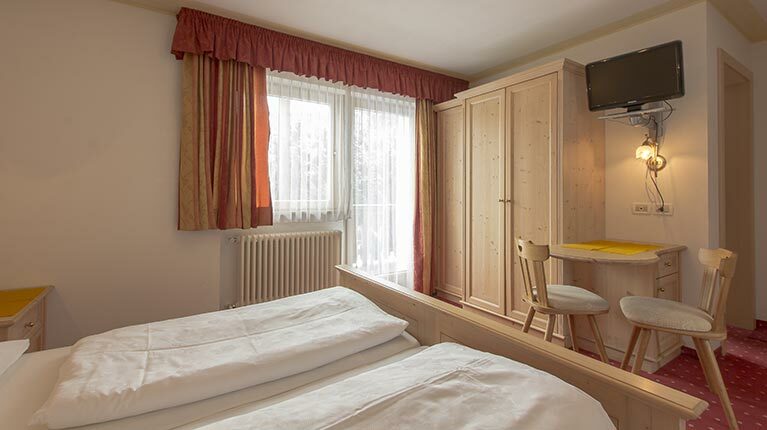 All rooms and apartments are wooden furnished, in order to offer our guest a cosy ambience in local style. 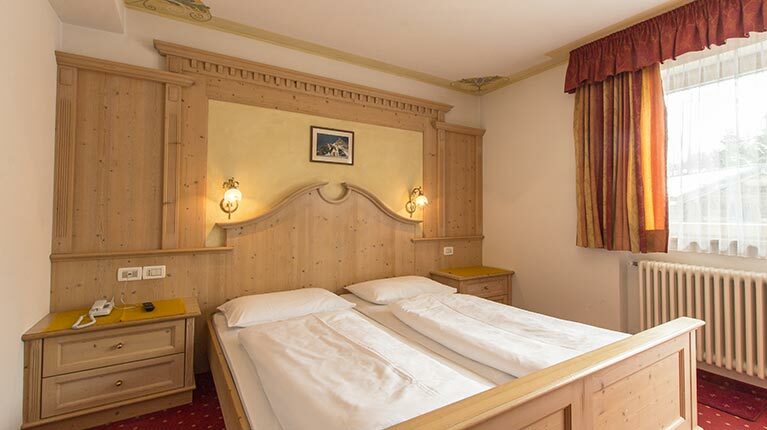 You will find comfort and all necessary to spend relaxing and homely vacations. All rooms and apartments are equipped with a bathroom with shower, toilet and hairdryer, tv-sat, phone and wifi. Further, the apartments are provided with a kitchen, equipped with dishes and cutlery, a fridge and a cooking plate. Our house disposes of a big parking place, a sun terrace with tables and chairs and a yard. During the winter a ski depot and a heatet ski boot depot are at your disposal. Bedroom with a double bed and a single bed, with bathroom.